The Levy's Boot Leather Guitar Strap has a 2-1/2"-wide face. 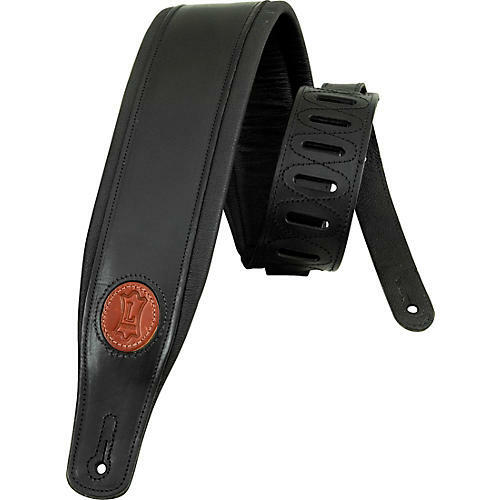 This guitar strap is crafted from the same boot leather used in finely tooled boots and saddles. A 3" padded glove-leather back offers wonderful comfort during those long playing sessions. The Levy's Boot Leather Guitar Strap adjusts from 44" to 53". Your guitar lives on your shoulder. Stay comfortable with this superior strap.